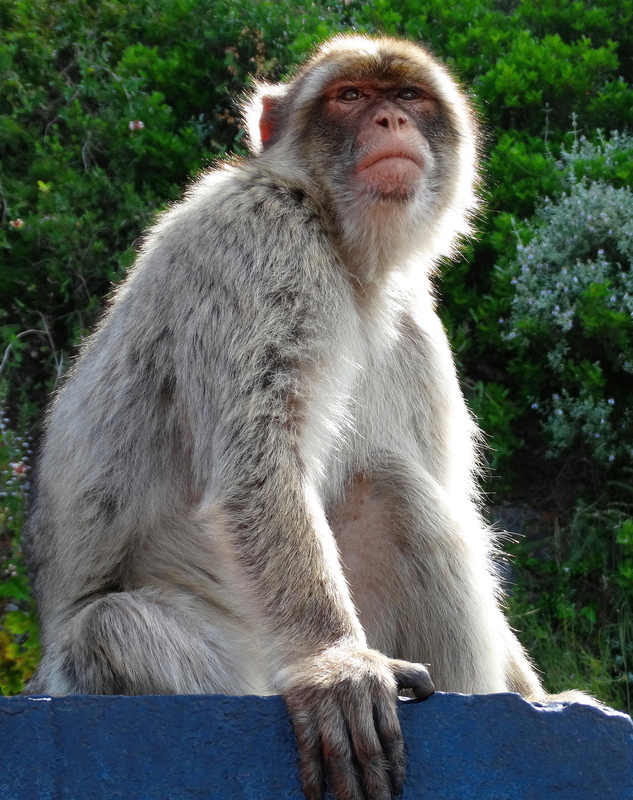 Although often referred to as Barbary Apes, the macaques aren’t apes at all, but vestigal-tailed, old world monkeys, called Barbary Macaques. 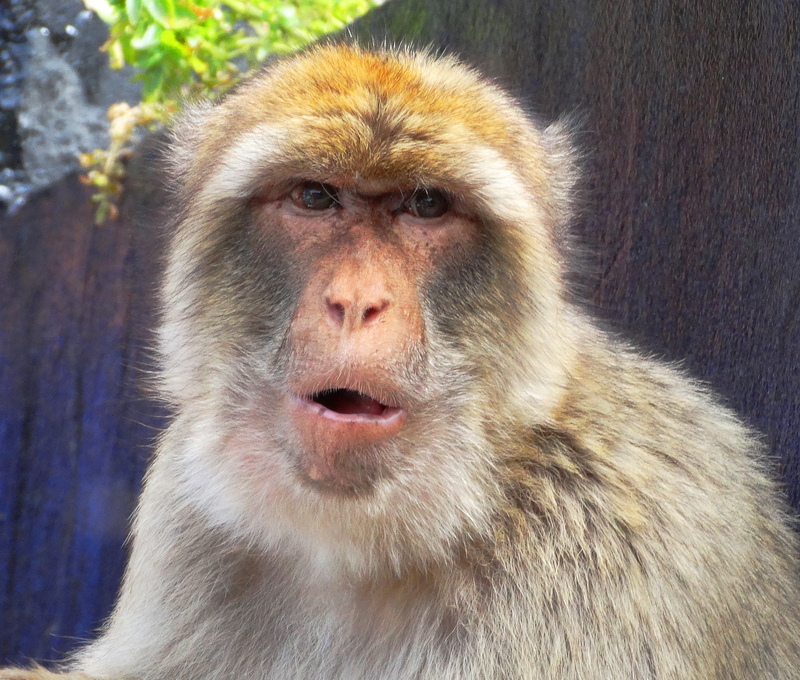 The earliest skeleton found of a Barbary Macaque was carbon dated to the 3rd century BC. 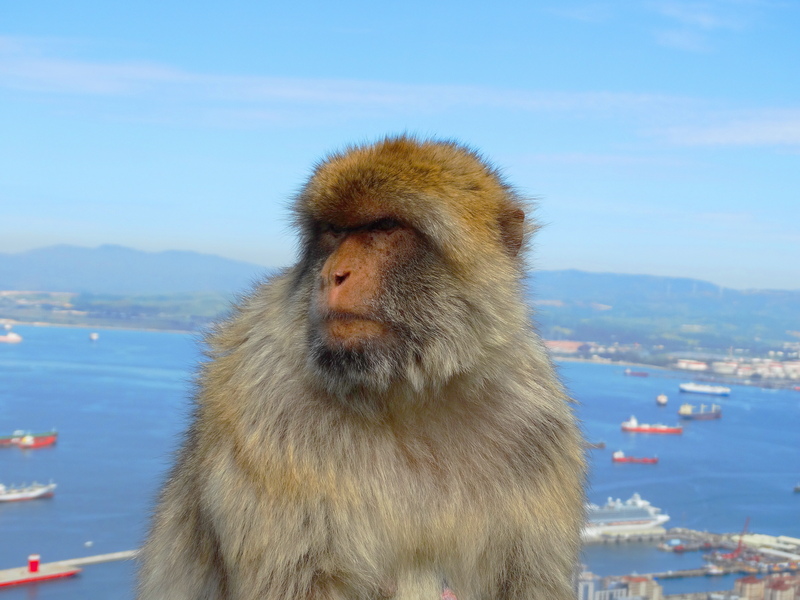 There is a thriving population of about 300 macaques in Gibraltar in five separate troops. 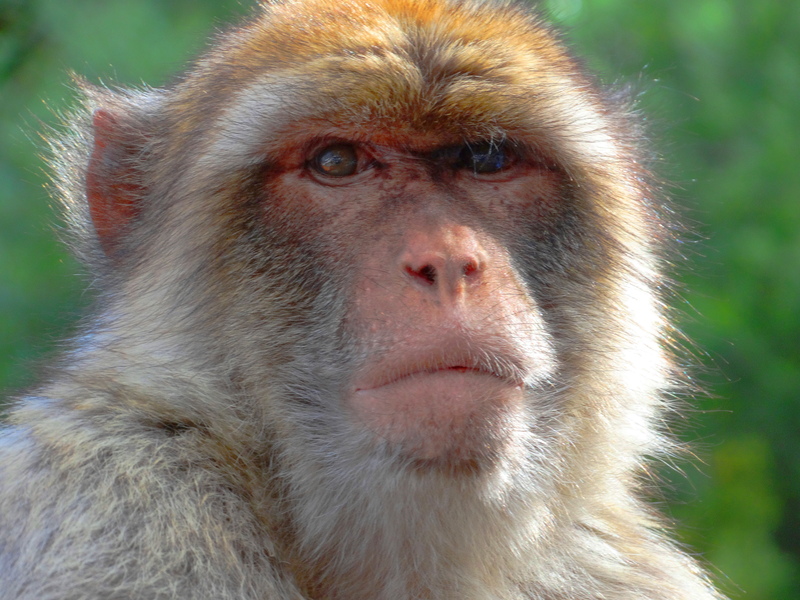 They are descended from North African Barbary Macaques. The wild population in North Africa varies in estimate but is somewhere around 12,000. I was struck by their faces, they looked extraordinarily wise, but also, sort of world-weary, and well, sad to me. I’ve seen monkeys in the wild, but these ones seemed more bummed-out. Look in their eyes. Do you see this quality? Even the babies looked sort of stressed-out. 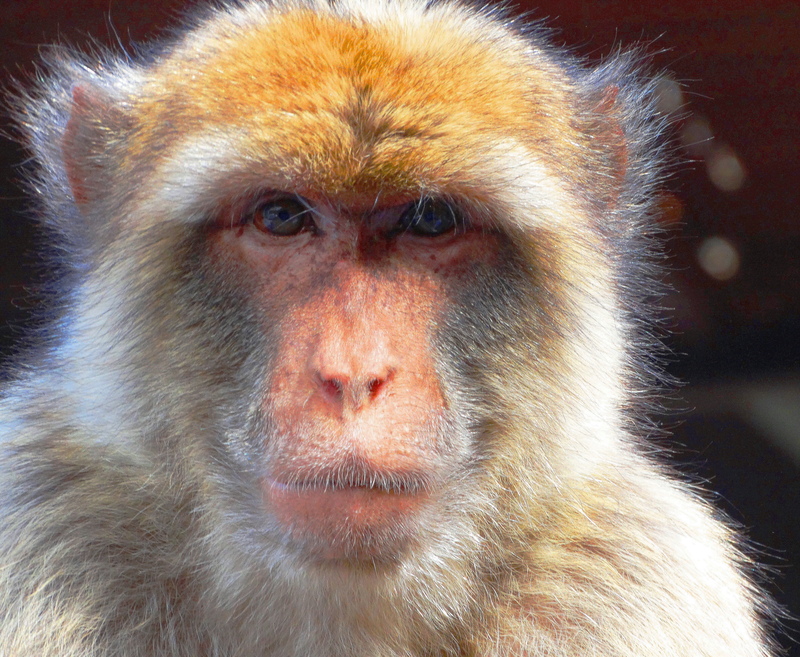 These images have stayed with me, so I just looked into it, and learned this, “the groups of macaques normally exposed to tourists have elevated levels of anxiety,” due to “aggressive interactions” with tourists. 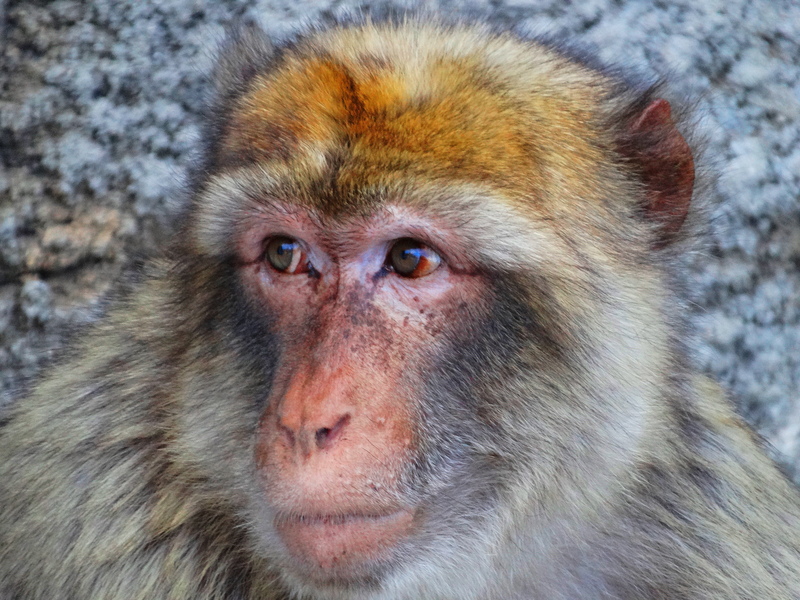 There is a ban on feeding the macaques, but tourists fed them M & M’s and junk food when I was there, encouraged the monkeys to jump on them and shrieked at them when they did so. Taxi cab drivers fed them junk food to encourage them to jump on their cars and then drove with them on the car. If it was disturbing to me, I can imagine how the macaques must feel about this day after day. 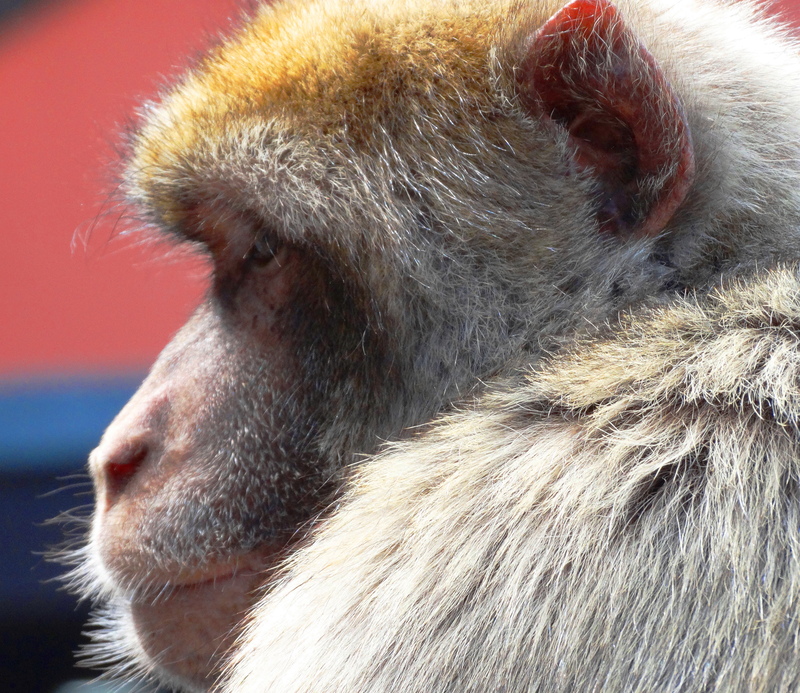 The Macaques are free. Sort of . I learned they are fed a nutritious diet daily and I saw this. They are caught “regularly” to check their health status, weighed and photographed. Each monkey is given a tattoo and a micro-chip. Their reproduction is monitored. All this “management” sounds stressful to me. Particularly because they are intelligent creatures and may well know what is going on. 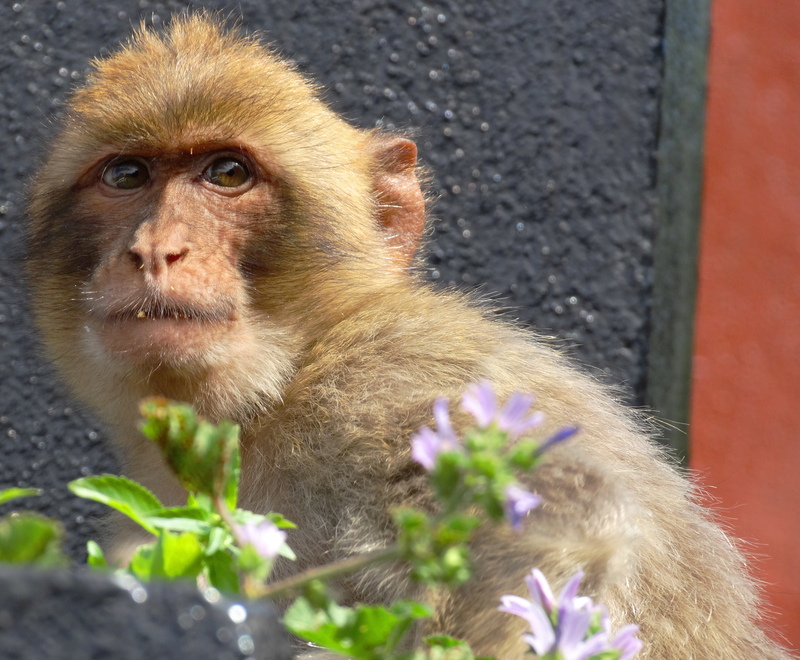 Wild populations of macaques have suffered a major decline in recent years and they are now classified as an endangered species. 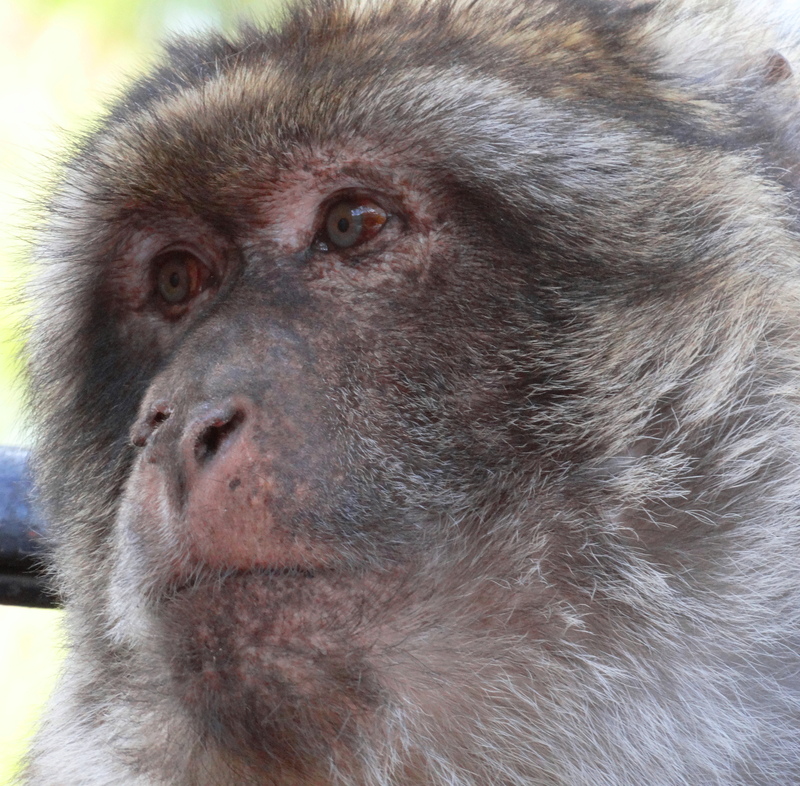 Truly wild macaques live in Algeria, Morocco and Libya. Macaque habitat is being destroyed by logging and farming, they are poached in the wild, and caught for smuggling as pets. Let’s make sure we protect our intelligent cousins, these “true owners” of the rock, who have possessed it from “time immemorial” and treat them with the respect and dignity they deserve wherever we encounter them. They deserve at least this much from us.